Indian Security researcher Umang Raghuvanshi recently teased a new jailbreak for iOS 12.1 firmware. Here’s all you need to know about this new tool. 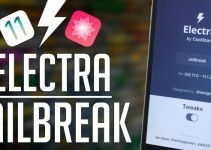 WEN ETA iOS 12.1 jailbreak? 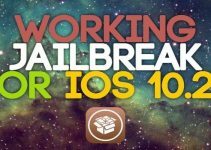 After a long dry spell all through October, things are picking up again in the iOS hacking community as hacker Umang Raghuvanshi teased his private iOS 12.1 jailbreak. The “janky” video shows what appears to be a jailbroken iPhone 7. The developer then proceeds to open a very bare-bones jailbreak application. Once the exploitation is done, Umang gives proof of root access by successfully logging in as the “super user” in MTerminal. Check out the video Umang posted on his Twitter handle below. For those who don’t know, Umang was heavily involved in Coolstar’s Electra1131 jailbreak project that targeted iOS 11.3.1 and below versions. The young hacker from India supplied his private root filesystem remount to the Electra Development Team. According to Umang, there’s no ETA on a public release for this jailbreak tool, so far at least. This is weird considering Umang claimed in the past that he intends to release exploits for iOS 12 publicly once Apple seeds a stable build. Snide comments from Ben Sparkes, the developer of Meridian jailbreak, and other renowned developers might have forced him to keep his exploits private. And unfortunately, it’s for that reason that this tool may never see a release. Furthermore, the recent Libertas (a general-purpose jailbreak detection bypass tweak) fiasco didn’t help things either. After its rushed release, quite a few users dismissed Raghuvanshi as all brawn and no brain. In my humble opinion, famed jailbreak developers of the past as well as the jailbreak community, as a whole, need to assume a pragmatic stance towards new developments. As we have seen already, it doesn’t take much to offend upcoming researchers and developers. Plenty of developers have left the scene after facing harassment from the community. Hello, Aidan. We are still here! I will be getting out more content asap! Hello, B3RFC. We are still alive and kicking. Get ready for new updates! 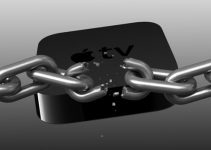 Stay off of Twitter, until ur ready to release the jailbreak invention.